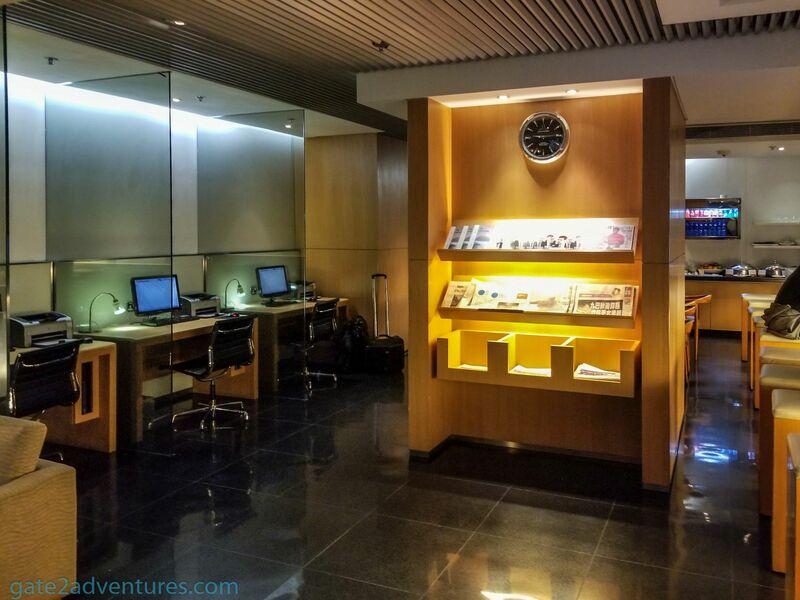 Cathay Pacific closed the Arrival Lounge on November 5, 2018. There is no alternative from Cathay so far. 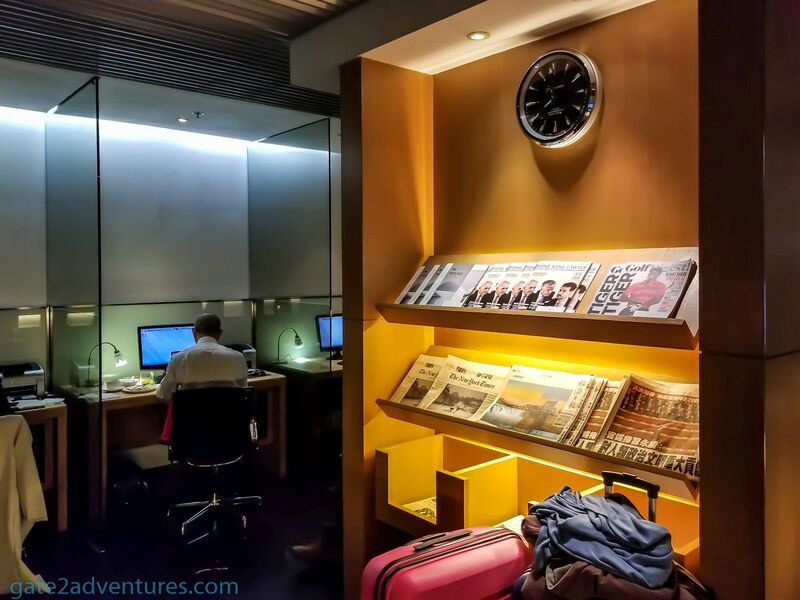 However, there is a Plaza Premium Arrivals Lounge, not far where Cathay’s lounge used to be. After my inbound flight on Cathay’s A350, I headed towards immigration. I am really impressed by how easy it is. There are no questions asked at all, compared to the US. In the US, CBP even wants to know so many details from passengers just connecting in the states to fly to another country. After I cleared immigration I had to wait for my bag to arrive at the baggage claim and a few minutes later I walked through the “nothing to declare” line and was in Hong Kong. My arrival was too early and I didn’t want to go to the hotel yes, as my check-in time was still far away. 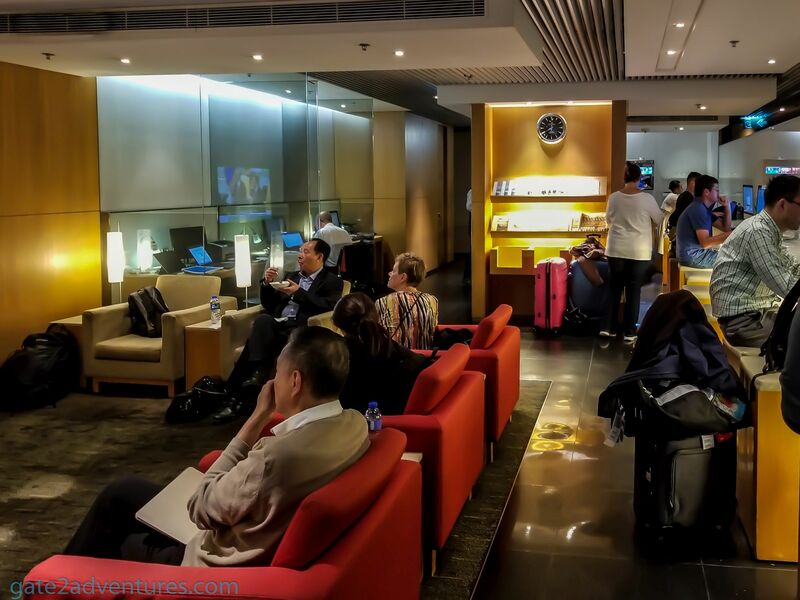 The plan was to use the Cathay Pacific Arrivals Lounge. First I had to find the lounge, which is pretty easy if you know. The lounge is located in the center connector between Terminal 1 and Terminal 2. For people arriving in Terminal 1, walk towards the center of the building and look for signs toward Terminal 2. Follow them and you will see the lounge on your right-hand side. Once you get to the center walkway the lounges are marked on the sings. daily from 5:00 a.m. until 12:00 a.m. I arrived at the lounge shortly after 8 a.m. and I was shocked. The whole entrance to the lounge was filled with loaded luggage carts. As I would find out in a minute, all of them belonging to passengers sitting in the arrival lounge. This is probably the smallest lounge I ever have seen. I would call it more an “Arrivals Room”. There were only two high chairs left along the long side of the lounge to sit down. 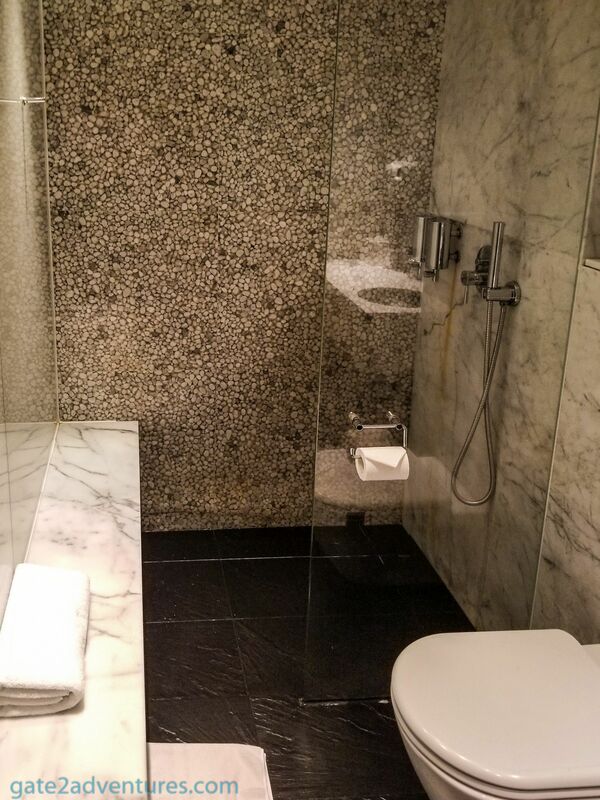 I immediately signed up to use one of their eight shower suites. The agent told me that the wait time would be most likely more than one hour. It was not a big deal for me, as I had enough time to kill for my afternoon check-in at the hotel. 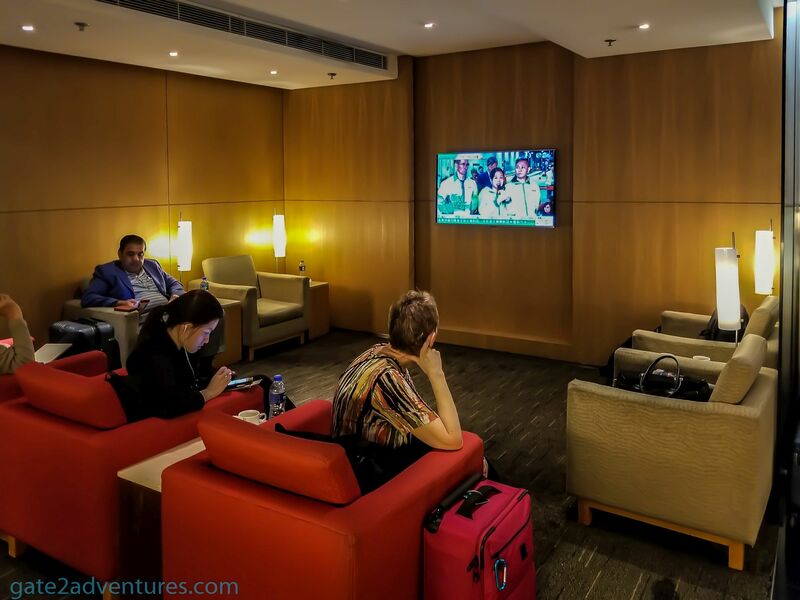 The lounge has a seating area with comfy chairs to the left after the entrance with a TV showing Hong Kong news. There are high chairs along the long side of the lounge with a counter to set up your laptop. There is a small business center with workstations on the left. On the other side, there are a few Mac PC’s set up for use. Behind the center divider of the lounge are dining tables and chairs, which were all in use when I arrived. The food buffet is quite small as well as the drinks offered. They offer an a la carte menu once lunchtime arrives and still keep their buffet setup. After 2-3 hours the lounge finally got quieter as most of the people were gone. I couldn’t believe how overcrowded the lounge was when I first arrived there. The size of the lounge is also a problem. Seems Cathay Pacific has to extend it. There are no in-lounge restrooms. 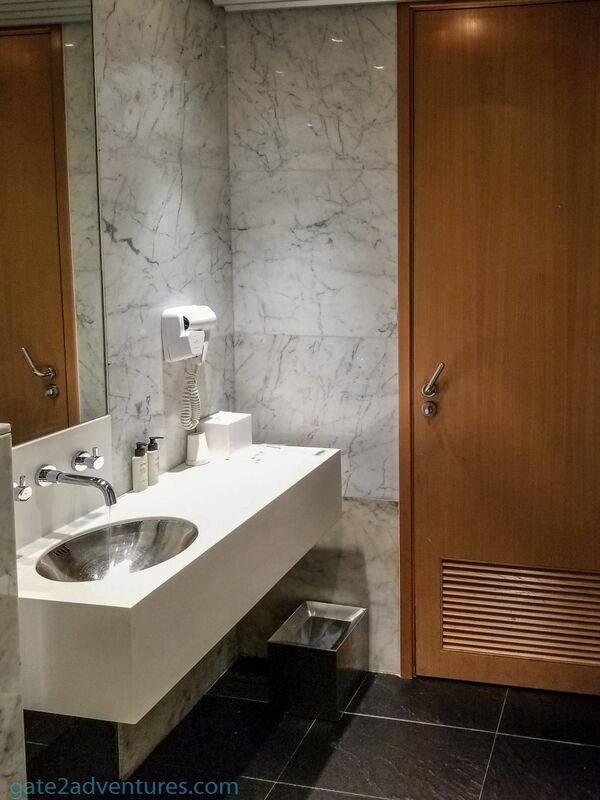 You have to use the public terminal restrooms which are fortunately located right next to the lounge. I heard my name getting called and the lady told me that my shower suite is now ready for me to use. The shower suites are actually spacious if you compare it with the rest of the lounge, I had expected a way smaller shower. It felt great to take a shower after a 15-hour trip. 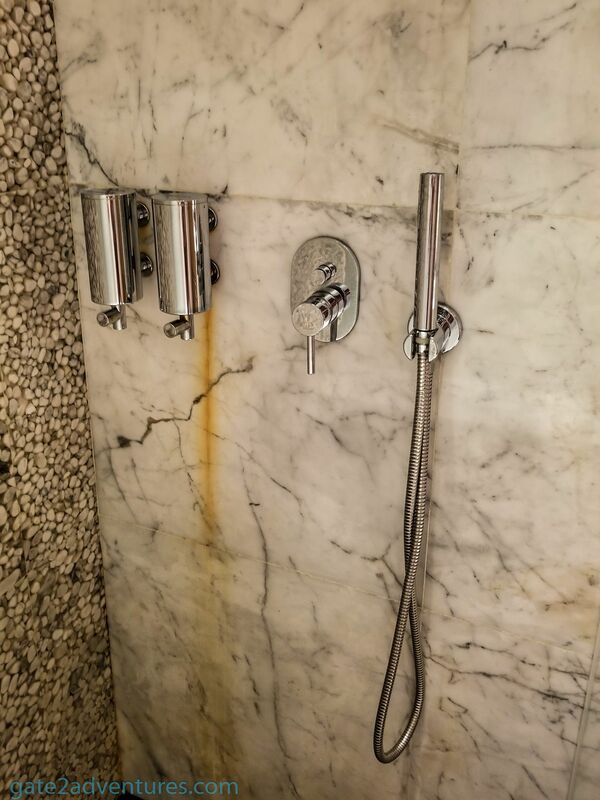 The suite was in general very clean however one of the bolts holding the shower on the wall started rusting a long time ago and you could see the rust running down the wall. This would be an easy fix if you take care of it but it seems nobody was too worried about that. Another really great service here is, that you can actually leave your bags with the staff in the lounge and walk around in the airport freely. You only have to make sure you pick up the bags before the close at night as they won’t store it overnight. This was great for me, as I just grabbed my camera and went up to the Skydeck for some plane spotting. But you could go shopping or watch a movie at the in-airport theatre. Except for the shock when I saw the overcrowded lounge when I arrived, I was pretty happy that I had the chance to come here and freshen up before heading out. 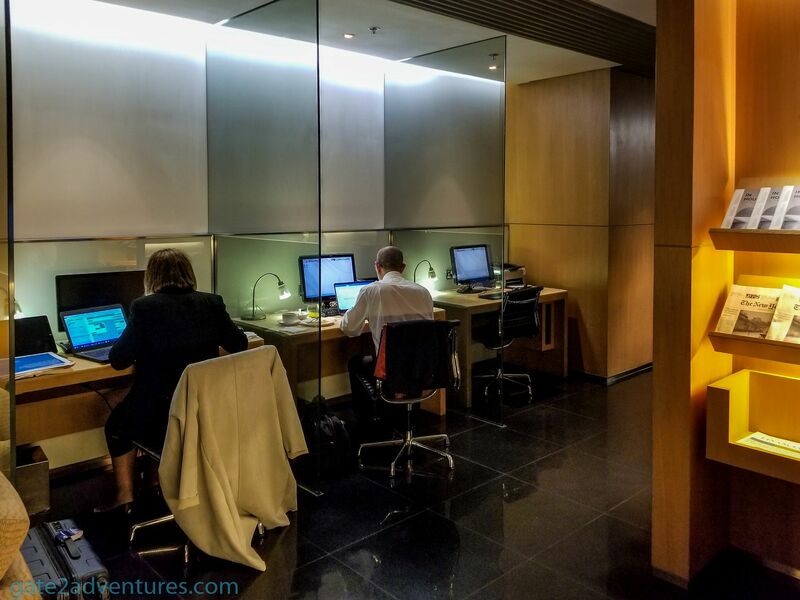 As I was flying Cathay Pacific I had to try this lounge. You only get access if you fly on Cathay Pacific or Cathay Dragon. Next time I will try the Plaza Premium Arrivals Lounge, which is located just a few steps from this one. 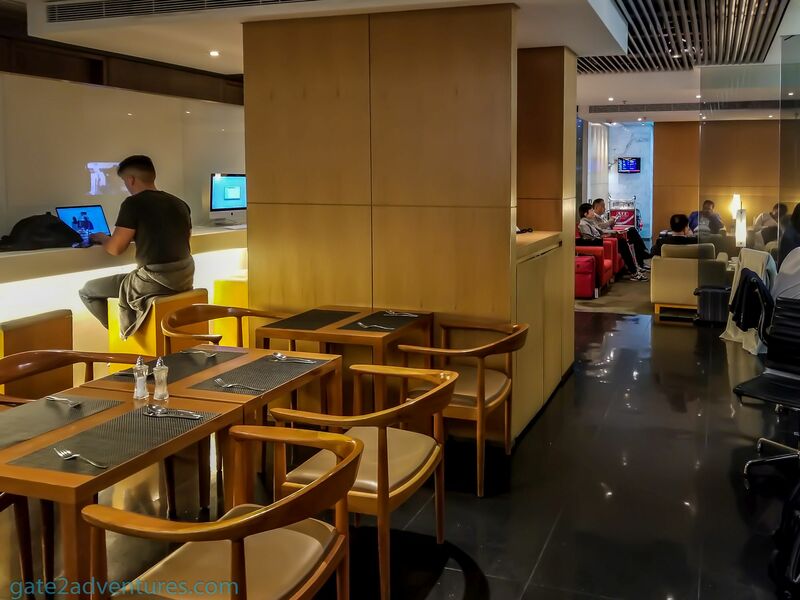 I am also a bit shocked, as usually, the Cathay lounges count towards the best in the industry. The arrivals lounge definitely needs some improvements, especially in terms of size.